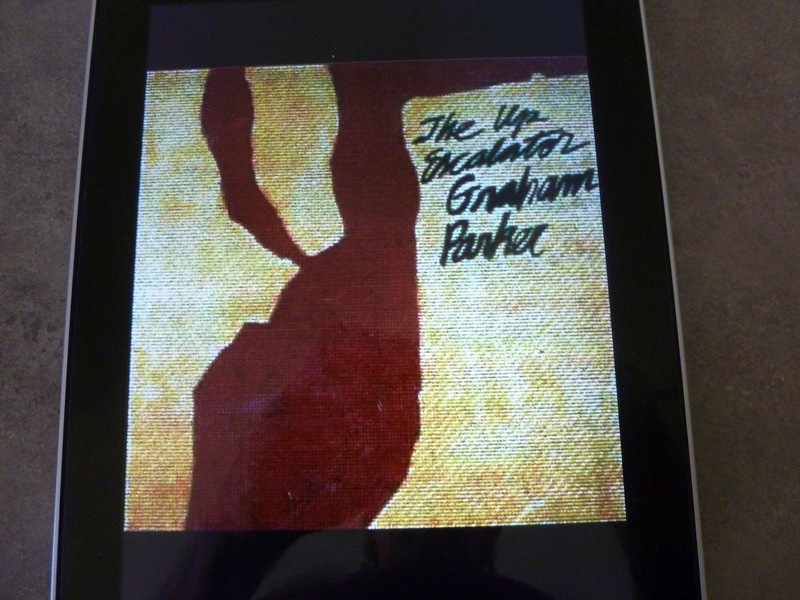 News of a new album by Graham Parker & The Rumour had me scanning the landscape around the end of November, once I'd spotted the odd reference to Three Chords Good on the interwebs. For some reason, however, it doesn't seem to have wormed its way into the iTunes Store, at least not into the Australian branch (though it’s already there in the US store) but then it took a while for that to happen with Little Feat's Rooster Rag, which explains why the review here features a photo of an actual CD jewel case rather than a shot of an iPad screen. Despite the absence of Three Chords Good the search reminded me I really liked Mr Parker’s work back in the day, and there’s a swag of material that could well justify a bit of further exploration. Had they been there I might have started by going right back to Howlin’ Wind and Heat Treatment, but since they’re not this seemed to be the right place to pick up the thread. Parker’s previous albums, the aforementioned duo, Stick to Me, The Parkerilla and Squeezing Out Sparks all featured The Rumour, a classy outfit whose members cut their teeth in pub rock bands Brinsley Schwarz and Bontemps Roulez and went on to back, apart from Parker, various pub rock and new wave acts including Nick Lowe, Dave Edmunds, Garland Jeffreys and Carlene Carter. While guitarists Brinsley Schwarz and Martin Belmont were still on board, as were the rhythm section of Andrew Bodnar (bass) and Stephen Goulding (drums), keyboard player Bob Andrews had left the band in 1979, so when the time came to cut The Up Escalator keyboard duties were handed to Nicky Hopkins (piano) and The E Street Band’s Danny Federici (organ). From the start of No Holding Back on my first run through there was something missing, and the first thing to spring to mind was, of course, Andrews. There was a fairly trademark GP & The Rumour sound, and most of it was still there, so the first inclination was to look in obvious directions. I suspect the thought processes may have been influenced by recent exposure to Andrews’ recent solo efforts, Shotgun and Invisible Love, but subsequent run through (or should that be along?) The Up Escalator with the volume cranked substantially were much more satisfactory. Squeezing Out Sparks had gone close to breaking Parker into the US market, so it must have made sense to Arista to do something that’d convert the breakthrough into major commercial success with the follow-up. On that basis it may have seemed like a good idea to match Parker and what remained of The Rumour with Jimmy Iovine, who’d produced or engineered Tom Petty's Damn the Torpedoes, Dire Straits' Making Movies and Springsteen's Born to Run, a sort of pairing that’d deliver critical acclaim and commercial success. Throw in some guest vocals from Springsteen and things should be close to signed, sealed and delivered. Commercial and critical success are, on the other hand, rather tricky little beasts. For a start, when you’re seen to be positioning an artist for glory you’re also setting them up as a target for those who might have their own axes to grind. Parker & The Rumour had been sitting quietly on the periphery as far as popular success was concerned, attracting A and A+ ratings from the likes of Robert Christgau, the (self-proclaimed) Dean of American Rock Critics. Christgau reviews Sparks here and, interestingly, fails to note the existence of Escalator. As things proceed through that first run through I was inclined to agree with assessments that panned the material and described the sound as flat, poorly detailed, mushy and just a bit dull but again, with a substantial crank in volume they sounded a whole lot better. Definitely not as good as you’d like, but definitely better. Play the bugger loud. And volume doesn’t just add punch to the music. Lyrically, The Up Escalator delivers another solid bracket of vitriolic Parker rants against conformity and associated mind-numbing and dumbing down (Devil's Sidewalk and Stupefaction) and everyone who has questioned his abilities and denied him his just rewards and then want him to fill in the gaps in their Empty Lives. You could pick a similar source of righteous anger in any of the other tracks. The loveless bastards who’d want to drown out The Beating Of Another Heart, the pull of obsessions and the denial of ambitions through the Endless Night, ineffective responses to demands and unexpected circumstances in Paralyzed and Manoeuvres. He might want to express love for a new bride in Jolie Jolie, but even that comes across as paranoid and can’t be expressed without an and don’t you forget it. You can’t, in the words of the last title on the album, have Love Without Greed, or maybe lust without emotional imperialism. The bonus tracks, a vehement Women in Charge that suggests he’s got his tongue firmly in cheek when he suggests this is a fortunate development. 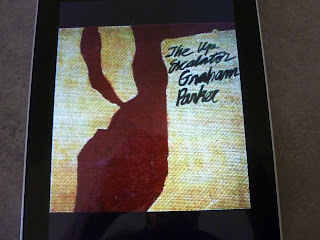 A live reggaefied reworking of Hey Lord, Don’t Ask Me Questions mightn’t burn with the same incendiary passion of the Parkerilla version, but it isn’t exactly lacking in bite either. Putting everything together, and accepting that it’s no Squeezing Out Sparks (which is fair enough from where I’m sitting, neither is anything else in his discography) played at a decent volume it’s not that bad. I’m inclined to dismiss the contemporary critical response as a case of expectations set that were never likely to be filled, the sort of thing that happens when our little secret positions himself (or is positioned, same horse different jockey) for a shot at mainstream mass market success. A case, I suspect, of you can do it, but when you try, you’d better make sure the product really delivers, sonny Jim. The Up Escalator didn’t quite deliver at that level, and mightn’t have quite made it to the top of what might have been possible, but it’s not broken down in the basement either.